Thanks for your interest in Full Boat Charters. 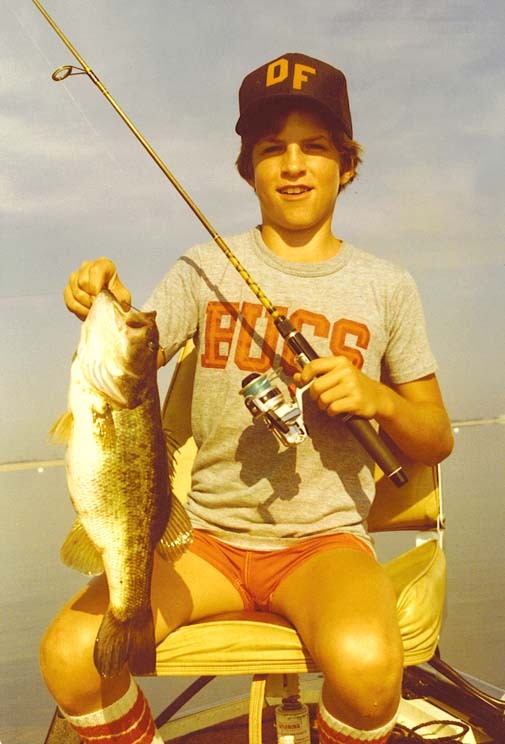 As you can see, I've been fishing for quite some time. When I was a kid, I was lucky enough to have the opportunity to fish whenever I wanted, which was often. My dad, Don Wallace Jr., was a bass tournament fisherman, when he wasn't selling real estate in Orlando. He taught me, at an early age, everything he could about fishing, football, and baseball. I got turned on to saltwater fishing in 1983, when my family moved to Bradenton, my parents' hometown. Dad grew up fishing the same waters I fish today. His dad, Don Wallace Sr., was a local fishing legend and well respected sportsman. 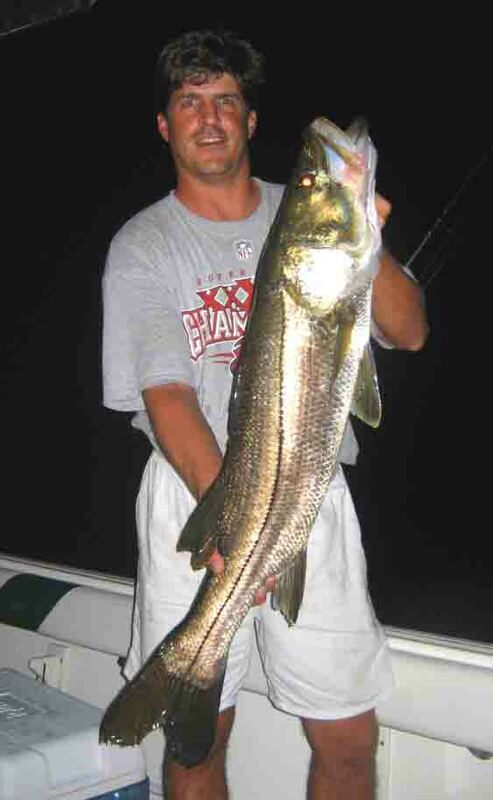 He and Dad caught thousands of snook in the '50s and '60s. Not to mention, everything else that swims. 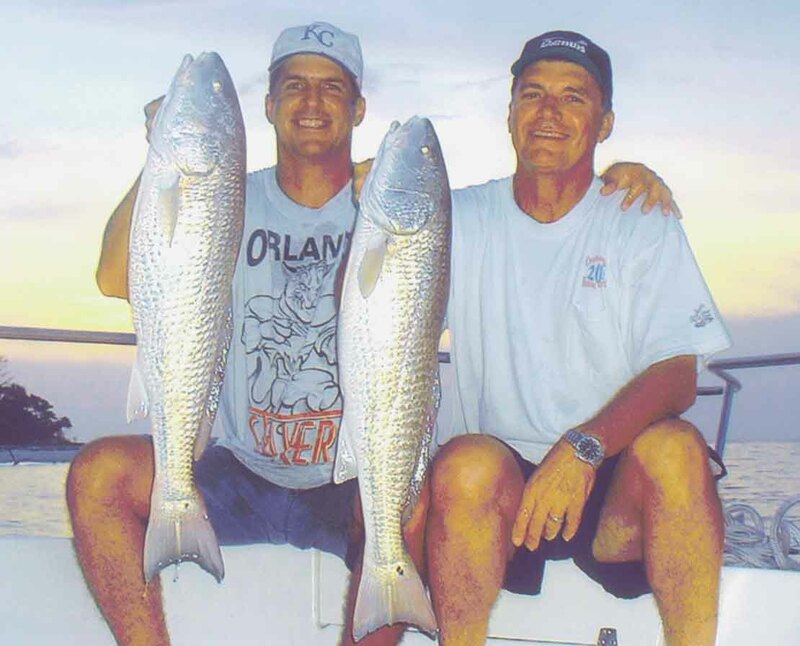 Since the '80s I've been tournament fishing with Dad and my brother, Dan Wallace. Dan has just as much and more knowledge of the local fishing grounds and, along with Dad, helps me with the business. It is not uncommon to run into them out on the water on a charter day. It's great to have two pros out there scouting fish. They fish almost daily during the summer. Dan is a teacher, with summer breaks, and Dad has recently retired from State Farm, after 25 years as an agent. My father also holds a captain's licence and is available for charters as well. I graduated from the University of South Florida, Tampa, in 1991. My career as an outside, sales executive, afforded me the freedom and means to fish and enjoy my passion. 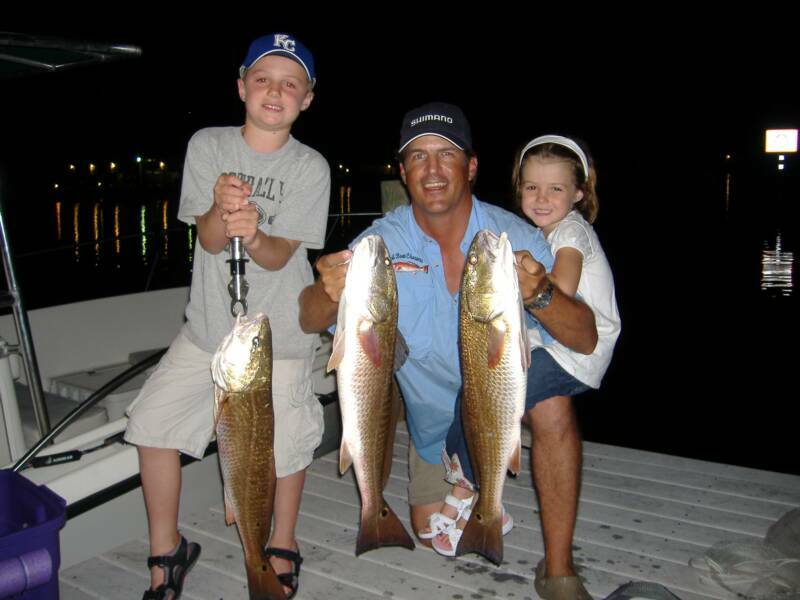 I started Full Boat Charters in 2005, while selling commercial insurance for Dad's agency. As the insurance market has declined, my charter business has evolved into a successful business, despite the economy. I am very greatful to everyone who has helped me along the way. I have taken well over 1,000 guests, without a single accident. I take pride in my boatsmanship and safety record. My boat is well maintained and always ready. I am happy to talk with anyone, anytime about fishing. If you have questions or want to book a trip, call me or write. I run my charters from private waterfront property, and clients can park free and not have to worry about vandalism to their vehicles if charters run late or are on a night trip. We're located 10-20 minutes from anywhere in Bradenton, Sarasota, Palmetto, Anna Maria Island, and Longboat Key , FL. - my primary service area. If you are staying or live in Tampa, St. Petersburg, Brandon, Venice, or Engelwood, we're a 30-55 minute drive away. I can pick you up by boat , but recommend you come to us if at all possible. Please refer back to this website for more info as I am currently building a new version. I will soon be adding past tournament results and pctures to this page. 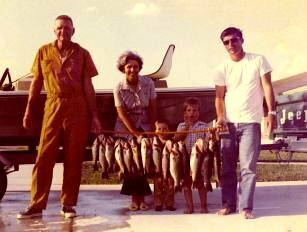 I will also be adding more family vintage photos and stories, as I am dedicating this page to the Wallace clan and our family tradition of fishing, hunting, and saltwater adventures. Call me anytime with questions and for additional charter information. You can also contact me via e-mail and I will respond no later than the next day.